Emily is a third generation Realtor, serving home buyers and sellers in the greater Sacramento area where she grew up. 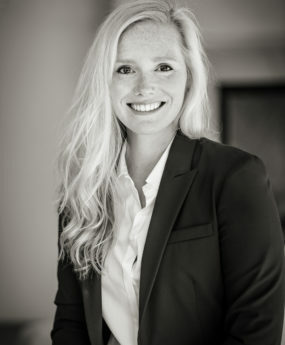 With a strong background in marketing and experience in commercial property management, she applies her local knowledge, attention to detail, and good old-fashioned hustle to what she loves most: getting to know people, their unique wants and needs, and helping them realize their real estate dreams. The daughter of a real estate investor and an interior designer, Emily has a discerning eye for value and design. As a full-time agent, she counts every client as a friend and cares for each transaction like her own, ensuring a personal, first-class experience throughout the entire process. She is known for her contagiously positive attitude and thoughtful approach to consistent results. Emily has a BA in English from the University of Washington. After launching her career in the buzzing San Francisco tech scene, she returned to her hometown of Granite Bay where she now lives with her husband, Ryan and their English Cream Golden Retriever, London. In her spare time, Emily enjoys riding her horse, hunting for antiques, and continuing to explore all beautiful Northern California has to offer.